What is the price of Samsung Galaxy A9 (2018) ? Average price for a phone Samsung Galaxy A9 (2018) is 394.82 EUR. Samsung Galaxy A9 (2018) currently costs from 317.41 EUR to 470.35 EUR. 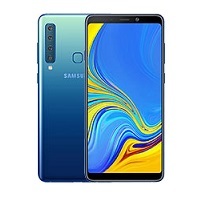 Average price for a phone Samsung Galaxy A9 (2018) is 365.41 EUR. Samsung Galaxy A9 (2018) currently costs from 317.65 EUR to 411.53 EUR.